Hi Sewing Friends, at long last here is the tutorial for sewing the welt pockets with pocket bag that are in the Sweet scalloped shorts pattern. If you’d like to follow along and create your own example ( I recommend this if you haven’t sewn a welt before) download the welt pattern pieces here. 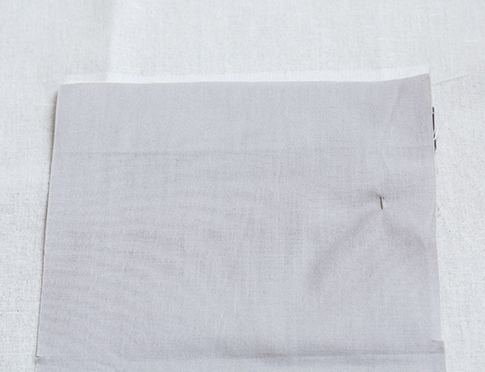 This welt pocket tutorial also makes use of a backing, (cut from the main fabric) inside the pocket bag so that should the welt pocket gape at all, the main garment fabric is visible not the pocket lining! 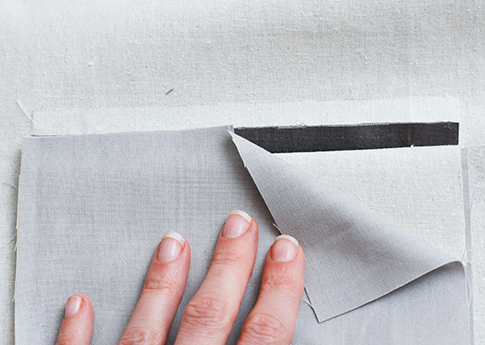 Most home sewing patterns don’t include this backing and you can leave it out and just use the pocket Bag lining, but I think the backing adds a really nice professional touch. Its an extra step but makes your pocket all the nicer for sneaking your hands in! You could also try cutting the Pocket Bag in a cute bright print or contrast colour to add a sweet detail to your garment! You will need to cut 1 welt, 1 x Welt Backing, 1 x Pocket Bag (please note the pattern for this tutorial is slightly different from the shorts pattern) and will also need a scrap of fabric to attach your welt too. I suggest that you use a light weight 100% cotton for this tutorial, nothing slippery or stretchy! 1. 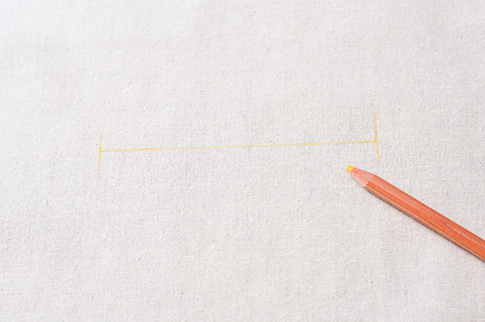 On the right side of fabric (or garment) mark in your welt pocket placement with a 12cm line. 2. 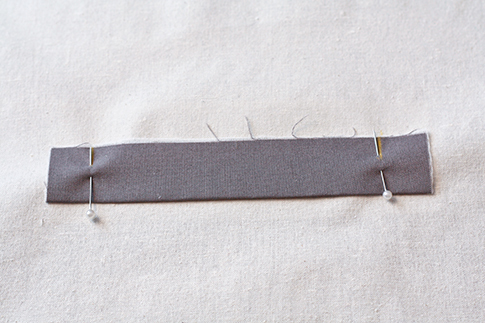 Apply the fusing to the wrong side of the fabric, covering the welt markings. 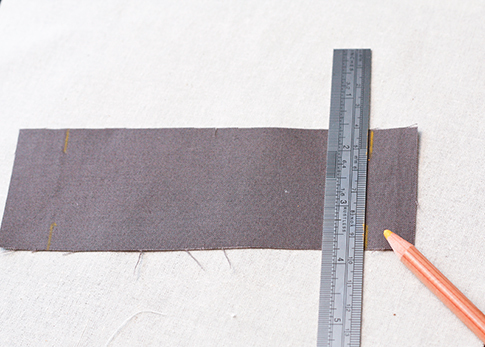 Transfer markings to Pocket welt and apply fusing to the wrong side of the welt. I find it easier to rule a line in chalk for the start and end points. Fold Welt in half, wrong sides together and Press. 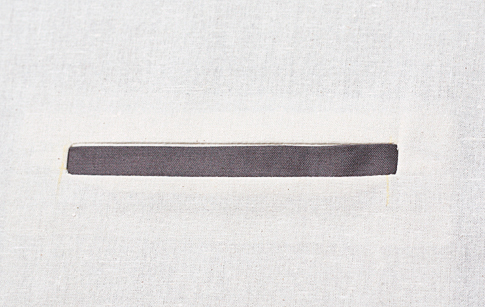 Align welt with the markings on your fabric. 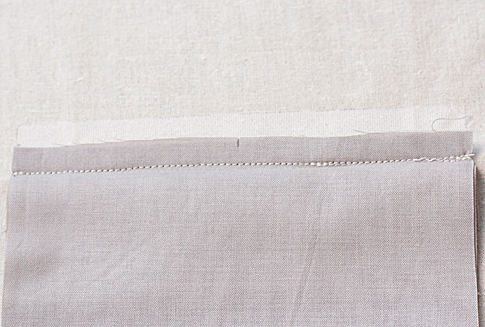 If on a garment, make sure that the raw edge of the welt, face the top of the garment, so that when it is turned, the folded edge will be the right way up. Stitch welt to the fabric, along the markings, making sure to stop and start exactly on those markings. 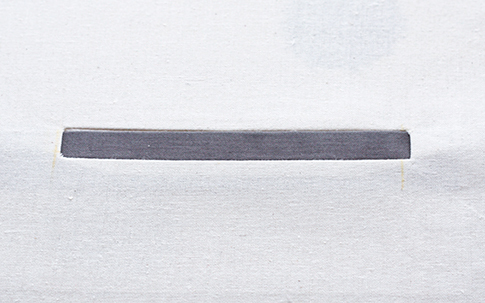 Press over 6mm / 1/4″ along one long edge. 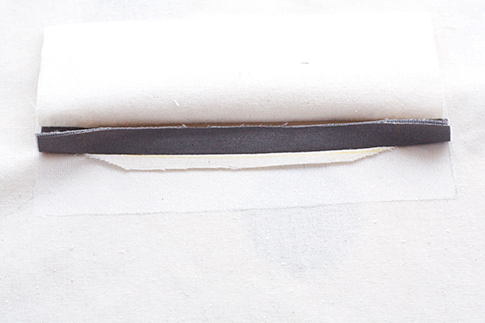 This edge will be the edge inside the Pocket Bag. Place the Backing on top of the Welt (wrong side up), alining the raw edge (not the pressed over edge) with the stitching line of the welt. Stitch a line parallel 1.2cm away from the first row of stitching, Stitching lines must start and end at exactly the same point, otherwise the pocket welt will not turn well. Re-stitch until both lines match perfectly. 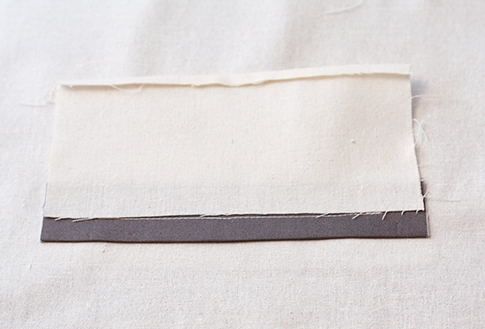 From the wrong side, Cut between stitching lines leaving 2cm / ¾” from either edge. 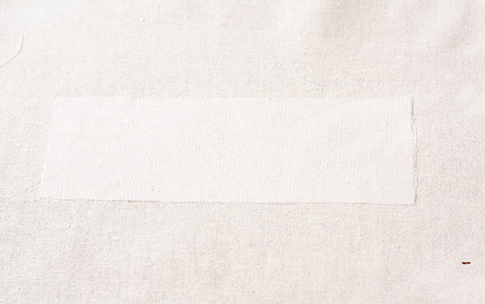 (Please note: sample has been turned around to photograph the stitching more clearly). Cut a “Y” at either end snipping very close to the stitching line but not through it. 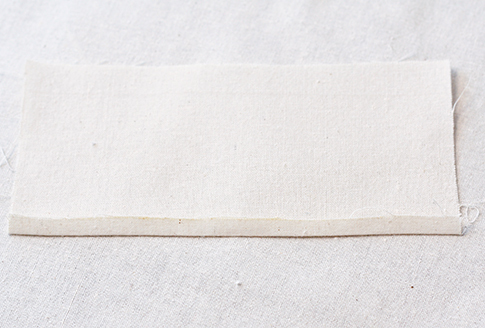 You want to have good sized triangle to sew through, so do make sure you leave at least a 2cm / ¾” from either end. 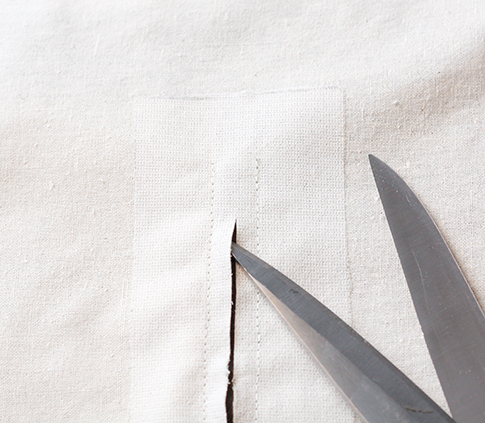 Turn the welt, and gently push the backing through the slash. Press welt from the topside. 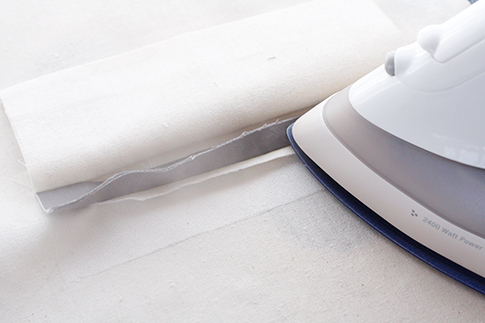 Use a Pressing Cloth. 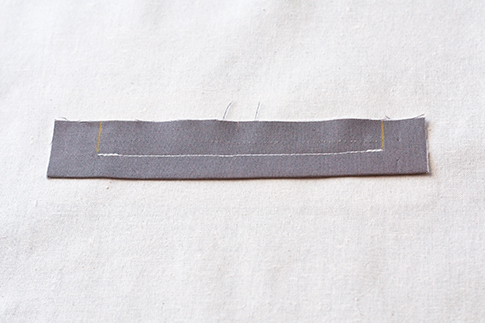 To create a nice crisp fold line at the base of the welt, I also press open the underneath seams before pressing flat. Working from the right side of the sample, turn the fabric back to reveal the backing edge, welt, and the triangle wedge of the sample fabric. 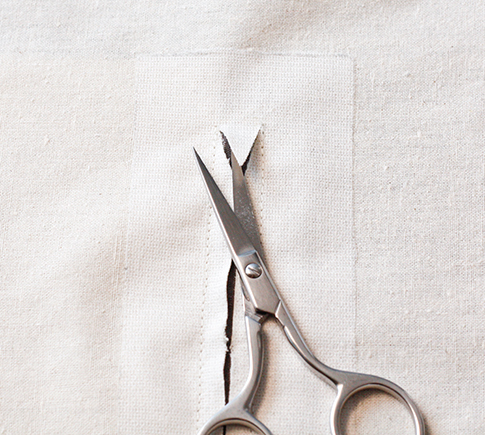 Secure the welt by stitching the triangle wedge as close as possible to the fold, through all layers. Repeat on other side. 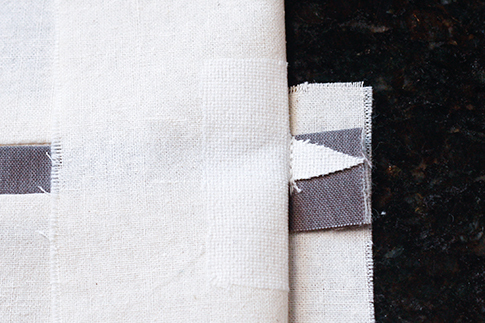 Working from the wrong side of the sample, place Pocket Bag over the Welt Backing, aligning the pocket bag’s un-notched raw edge with the Backing’s edge. Edgestitch Welt Backing along the pressed over edge, securing it to the Pocket bag. 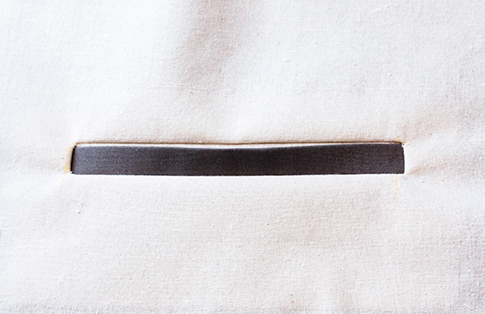 Align the Pocket Bag notched raw edge ( the other edge) with lower welt raw edge, (folding the Pocket bag under and in half). Stitch a 1cm/3/8” seam joining the Pocket Bag to the welt. Neaten edges. 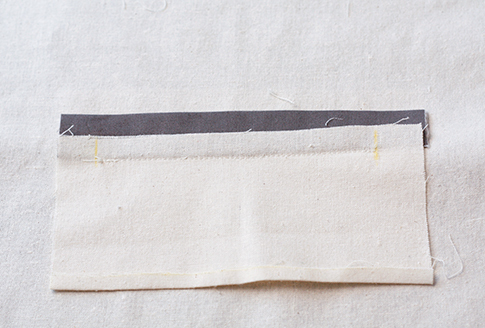 Press Pocket Bag in 1/2 along the dotted line and at the notches. 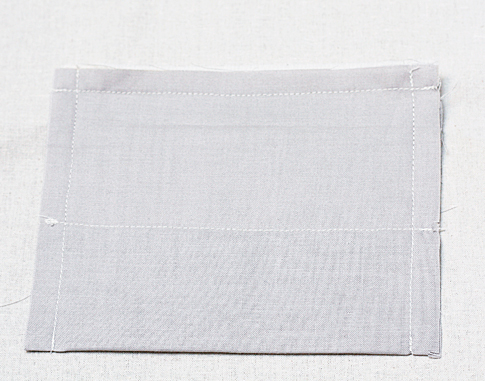 Stitch Pocket Bag sides together 1cm / 3/8” and neaten edges. 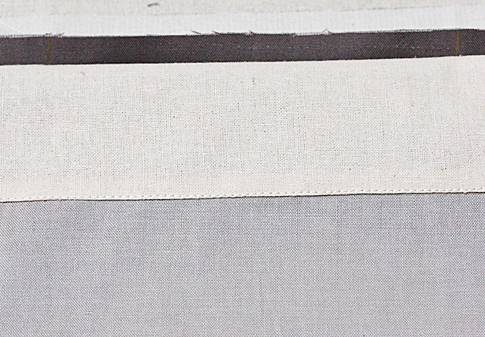 Stitch Pocket Bag to Welt Backing seam allowance to close off pocket. (Please note: if sewing the sweet scalloped shorts please see instructions there for the pocket bag as pocket bag in this tutorial slightly differs).